In society today, social media is one of the biggest marketing tools. Today, people spend a great deal of their day on social media. This is why more and more physical therapists today are joining the social media phenomenon and you should too. 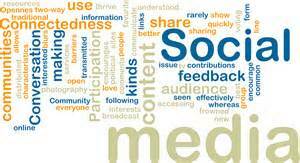 Social media is a great way to create awareness for your practice as well as staying in touch with your patients. It is also a great way to reach a wide target audience at one time just like your competition is out there doing. You want to make sure you are staying in the game and not wasting any opportunities of increasing your number of patients. There are many different online marketing strategies that can be used but social media is the number one strategy today. By using social media and creating awareness for your practice, you are allowing your practice to flourish and be seen by many potential patients. It is also a great way for you to stay connected with patients and receive feedback about your practice. By using social media you can post pictures, comments, and blogs to stay engaged with your patients and/or potential patients. This is also a great way to promote the services and treatments that your practice offers. You can also work with a social media-marketing firm who will be dedicated to making your practice flourish. A social media-marketing firm will make sure your practice increases its awareness through social media and has a higher search engine ranking. This will leave you more time to tend to other aspects of your business and let professionals increase your number of patients. Now that you know all about how social media can benefit your practice, call a social media-marketing firm today and get started!